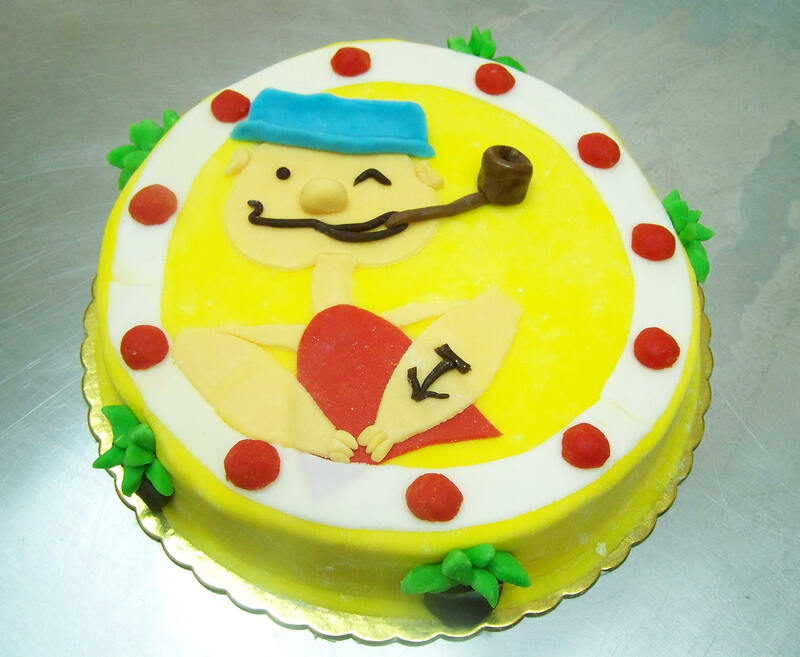 Chocolate devil’s food with a whipped chocolate ganache Popeye cake. 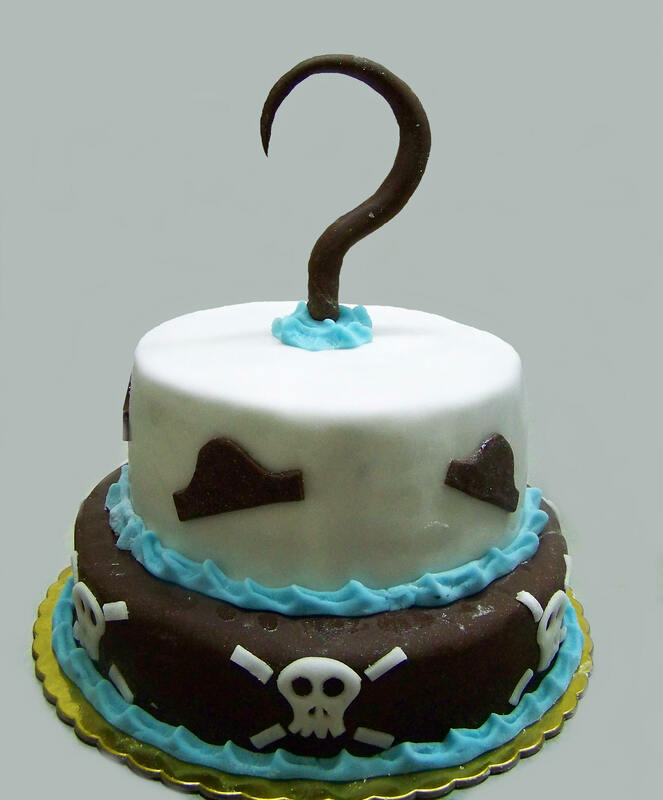 A pirate’s hook cake with the same flavours. 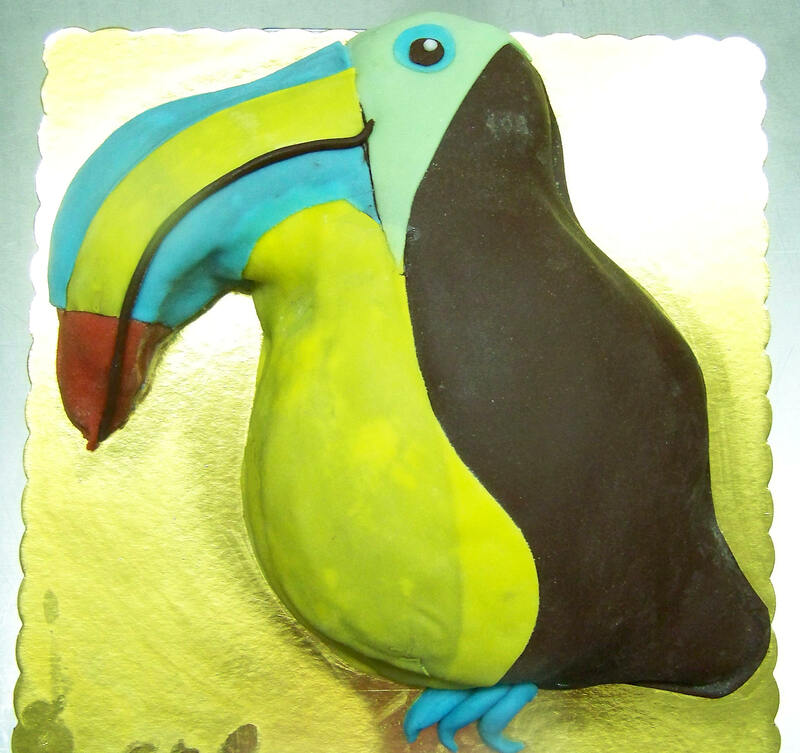 And a toucan bird cake as well with the same flavours. I think my homemade chocolate devil’s food has become a trademark flavour around here as it remains the most requested along with the all chocolate whipped ganaches. The two are also the best to work with for 3D or heavily decorated cakes.